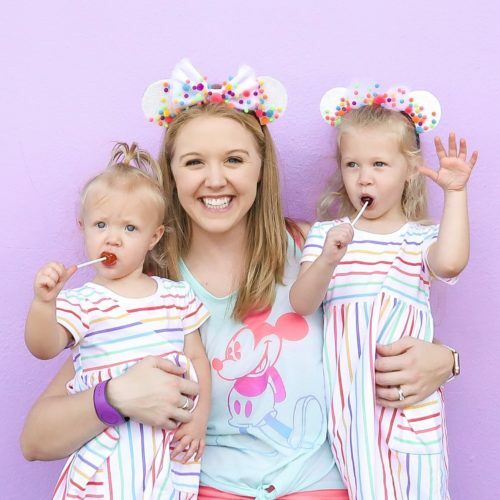 Planning a trip to Disney this holiday season? Christmas at Disney Springs has never been better. 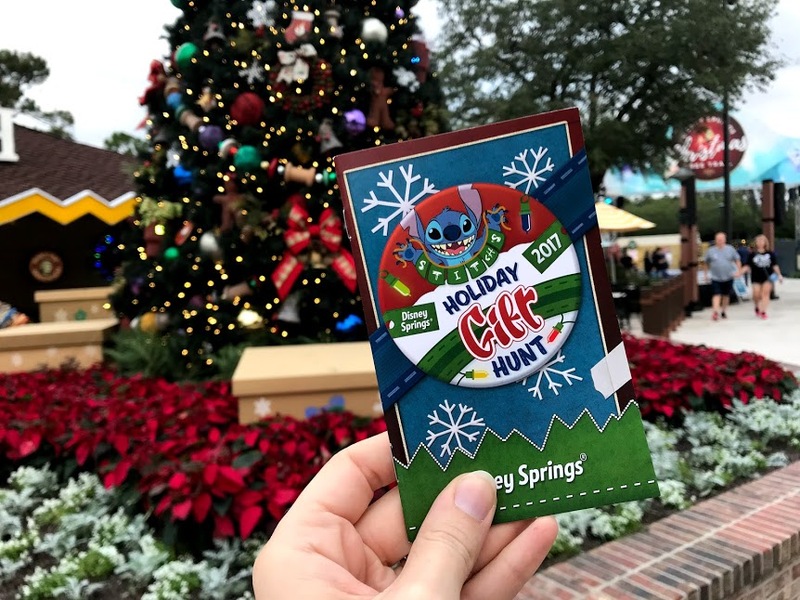 Don’t miss the free holiday fun offered at Disney Springs! Holiday music playing, Florida snow falling and whimsical Christmas trees makes this a fun (and free) way to celebrate this holiday season. There are dozens of Christmas trees along the walkway, themed with Disney movie decorations. You can meet Santa Claus at Disney Springs for FREE and the best part is you don’t even have to waste time standing in line. You check in at the front kiosk and to enter a virtual queue. They ask for your name and phone number and send you a welcome text. You’re then free to walk through the Christmas Tree Trail, shop around or even go eat while waiting. 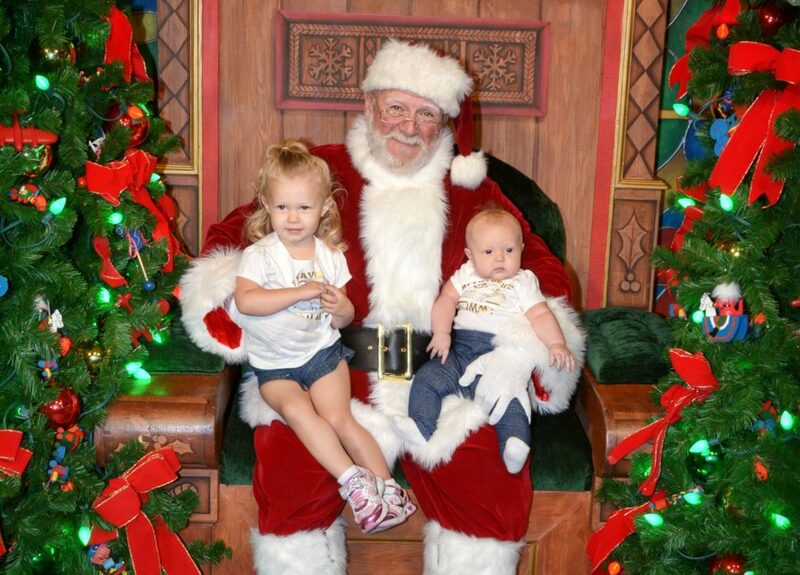 They send you a text when it’s time to return and you will wait in a short line to then meet the big guy himself. Stop by the welcome center or the PhotoPass studio and pick up Stitch’s Holiday Gift Hunt book. This scavenger hunt takes you all around Disney Springs to find Stich (and savings) all over! Complete the game by using the stickers in the back to mark where you’ve been and then return it to where you started for a surprise. 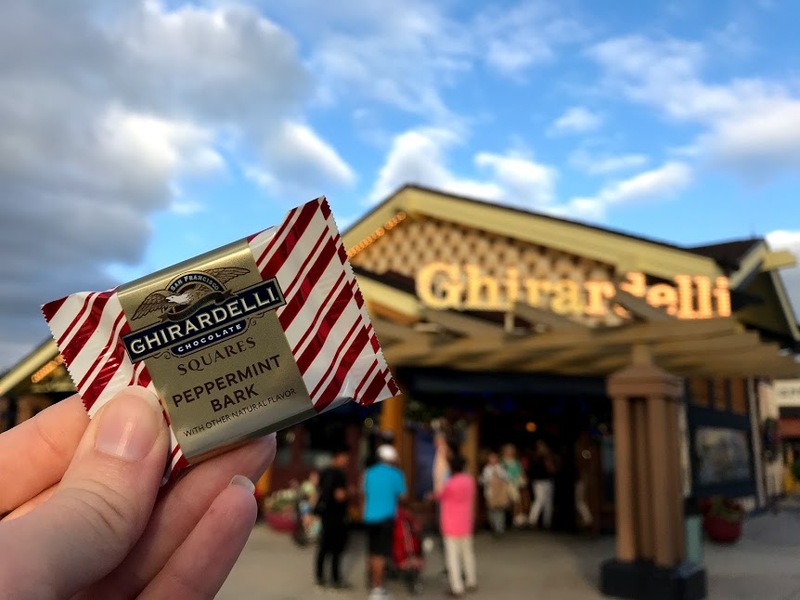 Don’t forget to stop by Ghirardelli for a Peppermint Bark chocolate candy sample. They allow one per person (even babies which meant double for me). If you’re an annual passholder or are visiting the parks and have Memory Maker, stop in the PhotoPass photo studio. 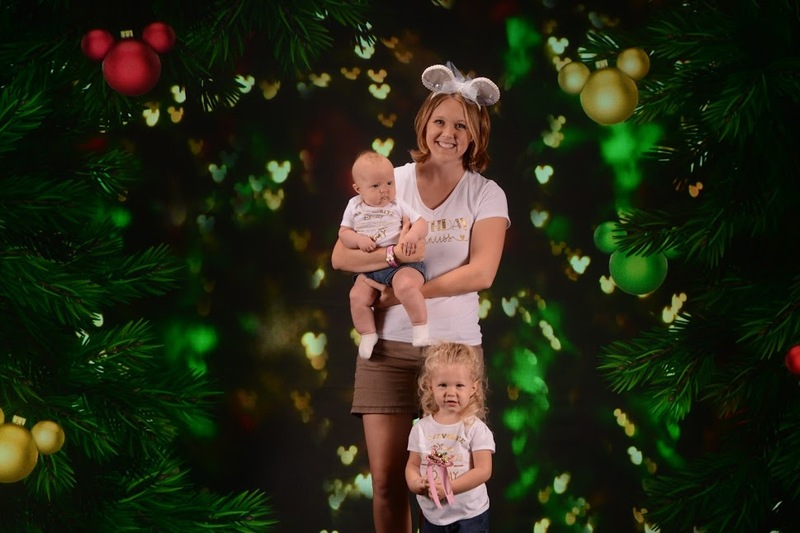 They have special holiday themed backdrops and can even take a family portrait for your holiday cards. Photos are free to download if you have Memory Maker or PhotoPass. 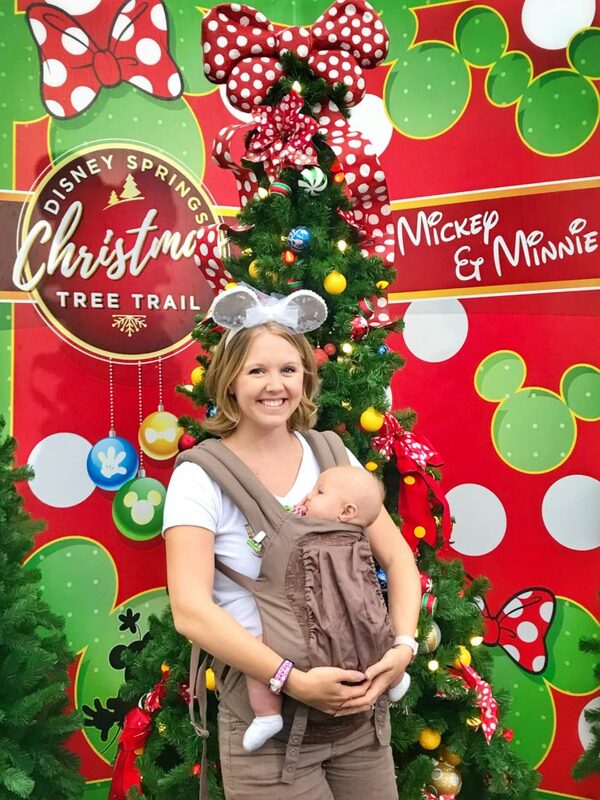 If you want more Disney Christmas fun, click here for my tips for Mickey’s Very Merry Christmas Party at Magic Kingdom.